Where Can I Find Volkswagen Passat Sedan for Sale Near Me? 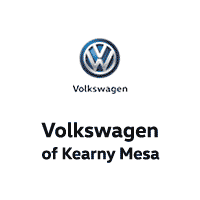 Are you asking yourself, ‘where can I buy new & used Volkswagen Passat Sedan for sale near me?’ Volkswagen of Kearny Mesa offers an exceptional selection of new, used & certified pre-owned Volkswagen Passat Sedan for you to browse and test drive in San Diego, CA. Contact us today to find Passat pricing and availability. WHY OPT FOR THE VOLKSWAGEN PASSAT? If you’ve been researching mid-sized sedans, then you already know the field is overflowing with selections. So, how do you identify the ideal ride for you and your family? At Volkswagen, we pride ourselves on producing perfection. That’s the reasons why we’ve put all of our German engineering expertise in manufacturing our version of the perfect mid-sized car: The Passat. Underneath the Passat’s hood lies your selection of engineering marvels. Whether you opt for the fuel-sipping, turbocharged 2.0 L 174 HP TSI 4-cylinder or the meaty 3.6 L 280 HP V6, you wouldn’t want to pass on the Passat. From the VW Car-Net-App Connect feature to Apple CarPlay, Android Auto, or MirrorLink access on our leading edge touchscreen infotainment interface, your Passat is fully loaded with automotive features you and your family are entitled to. The 2018 Passat has been awarded the NHTSA 5-Star Safety rating (their highest honors) thanks to our cutting-edge safety technology. Our focus on motor vehicle safety detail is equipped in all of our vehicles and with the Passat, your peace of mind comes standard. Stop by Volkswagen of Kearny Mesa today to test drive a new, used, or Volkswagen certified pre-owned Sedan in San Diego, CA. Our knowledgeable team of Volkswagen specialists are standing by to help you find the perfect vehicle. View our inventory online, stop in, or call (855) 684-9180 today to learn more. We look forward to serving you!